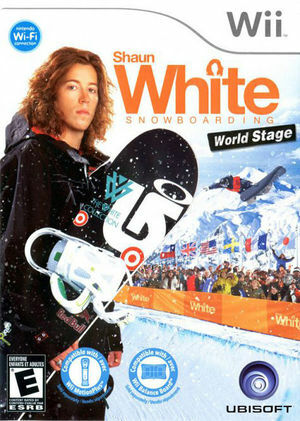 Shaun White Snowboarding: World Stage In this sequel to 2008’s hit game Shaun White Snowboarding: Road Trip, Shaun White Snowboarding: World Stage follows Shaun White and his crew of friends as they go from chasing the best powder to pursuing the world’s top competitions. Become the world’s best snowboarding crew. Help Shaun White guide the World’s best riders to the very top of the world rankings. Every challenge is an opportunity to increase one's level of prestige on the world stage. Participate in bigger and more varied challenges across the globe until finally ready to take on the world’s top boarders in the ultimate competition. The graph below charts the compatibility with Shaun White Snowboarding: World Stage since Dolphin's 2.0 release, listing revisions only where a compatibility change occurred. This page was last edited on 24 January 2018, at 04:13.